Jessy is a year and a half , she is one unique little dog . she has one ear that just will not relax . but she is my little baby !! Hi, Jessy is gorgeous, ears and all. I am also from S.A and have a little boy, Milo. He is my husband's and my love of our lives. 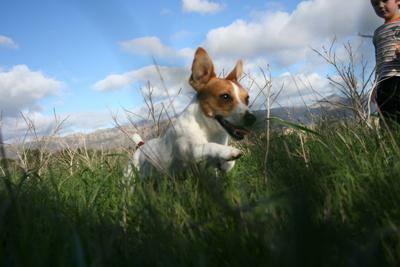 Nothing like a Jack Russell.